According to Hubspot, Facebook has the most engaged users on social media. 70% log on daily for an estimated 50 minutes. Furthermore, 43% of users log on multiple times per day. 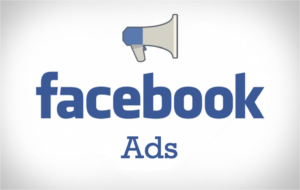 Because of this, Facebook advertising has become an essential part of marketing strategy. Through constant development, the service has become increasingly powerful, with intelligent targeting and remarketing tools. It’s by far the most influential advertising platform on social media. Therefore, a Facebook advertising strategy is the next logical step forward to enhance your brand’s online presence. With over two-billion active users, Facebook remains the largest social network. The ability to access user demographics, data, interests and interactions gives Facebook the highest potential to reach. As a result, it allows brands to target consumers with pinpoint accuracy. Let’s get the b-word out of the way early, because on average, Facebook offers a lower cost-per-click than competing platforms. Your ad has the ability to reach thousands of users for as little as £10, depending on your targeting, company size and how broad your audience is set. Furthermore, Facebook allows you to customise placements; choosing whether you’d like the ad to show on the newsfeed, messenger or banners. Alternatively, it can automate the whole process based on audience preferences. Data collected from billions of Facebook users allows you to set up highly specific targeting. First, geographics, which allows you to target locations across the world. Then, demographics such as; age, gender, language and even job role to match profiles to the target criteria. Finally, Facebook even let’s you target interests and behaviours. For example, placing ads in front of people based on the articles they read, websites they use and posts they engage with. Depending on your content and advertising strategy, Facebook has a range of options. From single-image or video ads, to carousels, slideshows or canvases; which acts as an in-app microsite. In terms of design, the builder is user-friendly and highly customisable. Helping brands to create, maintain and edit highly engaging advertisements, which drives sales exponentially. Within any marketing strategy, clear call-to-action is imperative. Facebook has defined a set of clear pathways, which optimise the way consumer traffic moves through your ads. Having consistent CTA buttons across all adverts creates a controlled environment, driving traffic to websites, contact details and most-recently messenger bots. We’ve all jumped from app to app, switching between e-commerce and social media. What’s more, it’s likely we’ve also been creeped out when, as if by magic, the in-app banners change to feature the products we were searching for. Of course, this isn’t really magic, or even government spies. It’s simply cookies, allowing marketers to track online behaviour and remarket product offers via Facebook advertising to encourage consumers to complete the purchase phase.